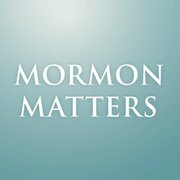 Yesterday I was asked to be a guest as an evangelical on the Mormon Matters podcast. I will be appearing and discussing a variety of issues with host Dan Wotherspoon, and fellow guests Joanna Brooks, and Jana Reiss. We will be recording our conversation this coming Monday, June 13. The discussion will surround an article by Warren Smith in Patheos which argued that evangelicals should not vote for Mitt Romney since a vote for him is, in his words, "a vote for the LDS Church." You can also read a follow up interview with him at Patheos, and an interview with him by Joanna Brooks at Religion Dispatches. Update: A written introduction and the podcast, "Why Are Mormons Seen as 'Dangerous by Some Evangelical Christians," can be read and listened to here at Mormon Matters. In addition, Jana Riess has written an article in follow up to our conversation titled "When Theological Disagreement Spills Over into Anti-Mormonism" at her blog Flunking Sainthood. Excellent news, John! I look forward very much to listening to that episode. It was an interesting conversation John. You had two articulate, knowledgeable Mormons to interact with though I thought they dominated the conversation. It sounded like an interview on FoxNews where you were brought in as the token critic. I was raised a Lutheran, recited the creeds every Sunday and knew little about the LDS church. I use to visit my aging uncle in the Lutheran Nursing Home on a Sunday. One Sunday I was looking at the LDS chapel nearby and went over to check it out. A member who was closing up invited me in. He had some lady missionaries come and talk with me. That started me on the road to membership. I was having problems as a Lutheran dealing with the Trinity. Eventually I was baptized etc. Years later as a member of a youth group in the church we visited some local churches, one which was a SDA church. I got to know a guy who like me was interested in books. He had some of the Tanner material. I read some of the material on the revival question on the first vision, where there were quotes from an article by a Rev Wes Walters. Walters had a paper published in the spring, 1969 issue of Dialogue where there was also a response by Smith biographer and historian Richard Bushman. I wrote to the Tanner’s asking them for their thoughts on a book by BYU Historian, Milton Backman, Joseph Smiths First Vision which was a response to matters raised by Walters, even though he does not mention Walter’s work thought out the book They sent my letter on to Walters and this started over many years a letter exchange on various matters relating to Mormonism. I left the LDS church and for a while went back to the Lutheran church and eventually the Assemblies of God church. Further reading on material from various sources both LDS and non-LDS into the issue of the historicity of the Book of Mormon and Book of Abraham left me in no doubt of my decision to leave. LDS want us to consider them as Christians. They say they have the same view of us and yet they try to convert us. I am attend an Emaues walk retreat with Catholics, Lutherans etc and not be trying to convert them to my tradition but pray, eat and play with them. Joanna talks about the recitation of creeds in the churches, creeds which Smith attacked. Of course there would be people who recite them without thinking about it, but also many who feel a kinship with other Christians throughout the world doing the same and those who have during the past centuries. See the podcast on Speaking of Faith by Jaroslav Pelikan in the creeds. I suppose it all boils down to what you think of Joseph Smith. The fraud and pious fraud view is espoused by Fawn Brodie and Dan Vogel while the more orthodox view is that of Richard Bushman in Rough Stone Rolling . Other traditions such as the SDAs had to deal with their prophet, with Ronald Numbers in his bio of Ellen G White, Prophetess of Health. Like Joseph Smith there were controversial aspects of her “revelations” on masturbation and whether the days of creation were literally 24 hour days. Was the Garden of Eden in America? Did some Jews come to America in 600 BC? Is it ok to say some things are just plain rubbish or is that now politically incorrect? Noel, thank you for your comments. I have to disagree with your characterization as to how the interview "sounded," although you are free to your opinion. I was asked to help the panel, and other Mormons, understand evangelical opinions on a Romney presidential candidacy, and the broader issues related to the concerns some evangelicals have about Mormonism in relation to Protestant evangelicalism. My comments, and the tenor of the conversation, were appropriate with the goal of the program in mind. From the conversation at Mormon Stories, and a large segment of your comments, it is clear that much more respectful and carefully nuanced discussions are in order about how we consider each other in relation to the Christian label and tradition. I would add two other thoughts. First, we must keep in mind not only the history of a religion's ideas, practices, and the history itself, but also how that religion changes over time and is viewed by its present practitioners. Evangelicals have a tendency to focus on aspects of Mormonism and Mormons may no longer hold or reinterpret which is not helpful in understanding or dialogue. Second, as to "rubbish" and political incorrectness, surely we must clearly articulate our disagreements, but the way in which we do this, and the terms we use to share them, must be weighed carefully. Does the label "rubbish" or "cultic" help in our desires to foster relationships with Latter-day Saints, to generate mutual understanding, or perhaps to persuade them of our views? It seems to me these are the things we should be considering in the evangelical fold.